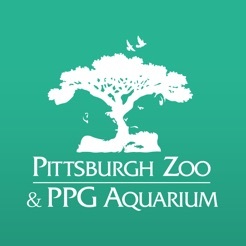 Experience the Pittsburgh Zoo & PPG Aquarium like never before! Find your way around using the interactive map and get insider information about every animal, plant, eco-friendly installation, and piece of art along your journey. 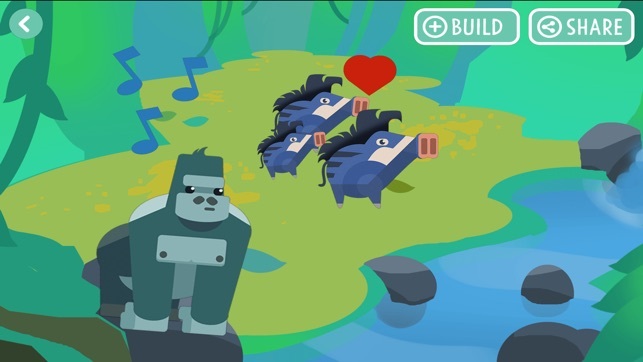 Play games that take you inside the world of the animals, collect digital stickers, share photo moments to your social media, and see behind-the-scenes glimpses of the animals like never before. After your visit, take the Zoo home with you through 360-degree videos and trivia. Wish every zoo had one! 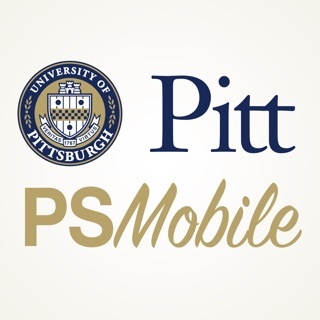 This app was a great tool to use to plan our visit. We were able to use the map in advance to identify our “can’t miss” animals. The kids used the 360-degree videos to entertain themselves on the drive to the Zoo, preventing the aggravating “are we there yet” discussions. During our visit we took tons of fun photos, and played a game while we waited for the amphitheater show to begin. Then we used the app to stalk our lunch! On the journey home the the kids reminisced about the trip while playing the trivia game. We can’t wait to use it again! 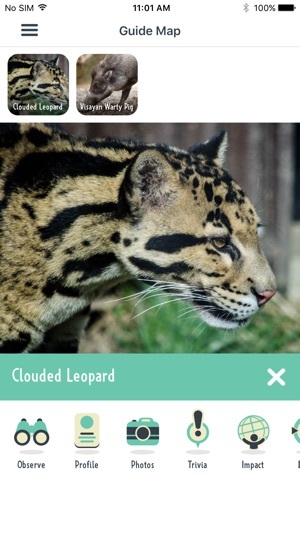 This is one of the cleanest looking and easiest to use zoo apps I have seen. 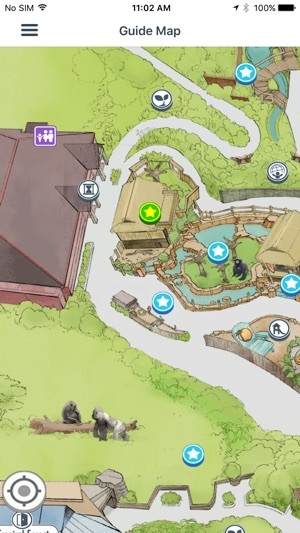 I really like how easy it is to pull up information about the animals and their enclosures. I especially like how their is a personal biography about the animals that are actually in the zoo. It's pretty cool that you can look at the animals on the exhibit and know which one is which. I haven't tried it at the zoo yet so I can't speak on the accuracy of the GPS and the location specific content. 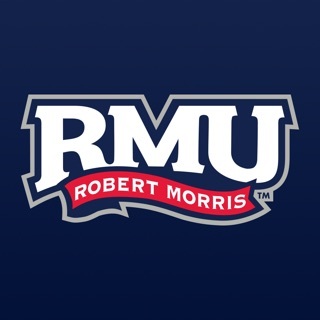 In general, I think the app looks good and has worked well for me so far, albeit from home. I think the interactive map looks awesome and more important is useful. 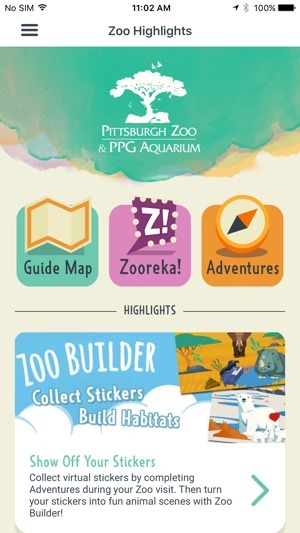 It's great, I like the guide map because if you have never been to the Zoo before it's a great tool. The sticker collection and building is a superb idea and the videos of the animals are very clear and fun to watch. 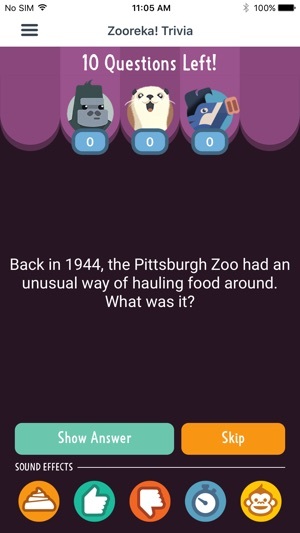 The trivia is also a fun twist to the app. All in all I think it's great!